I’m not quite sure I will ever be caught up with all the great design events from this fall. Today we take another look at the Rooms With a View vignettes from earlier this month. Lynde Easterlin‘s classic room was fresh and inviting. “When they labeled this event “Design on a Shoestring,” I googled Albert Hadley with that theme and found his article. So, I wanted to create a space that was fun and had a bit more summertime feel to it. 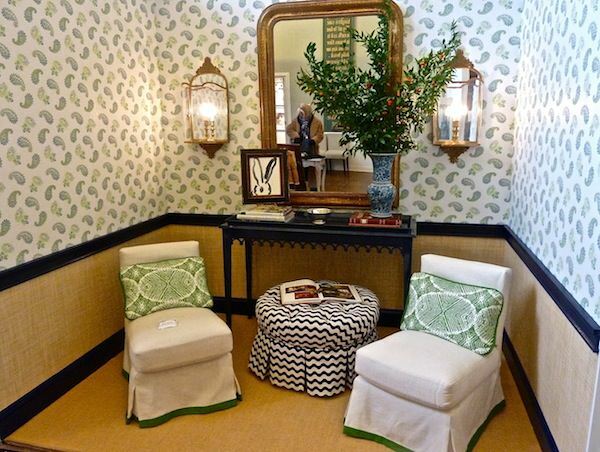 When I found Kathryn Ireland‘s paisley and floral wallpaper, that started my thought process for the rest of the space. 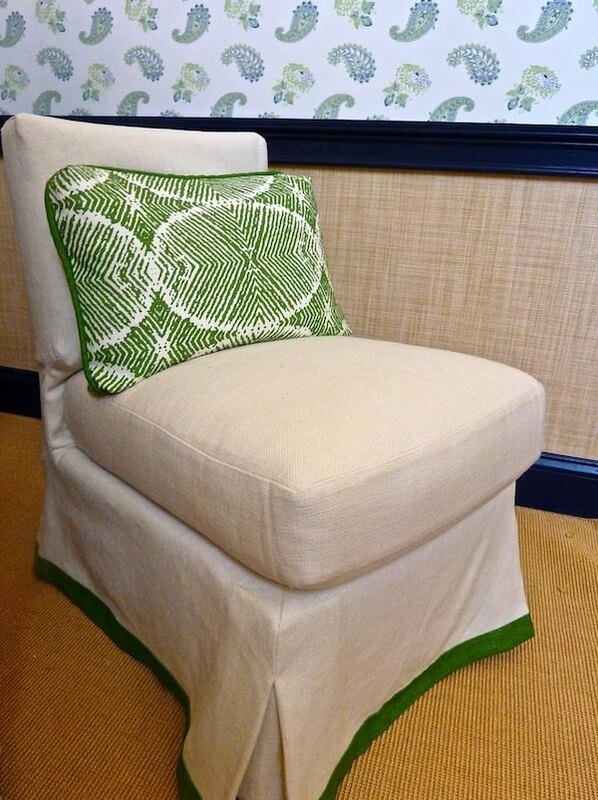 I used Phillip Jeffries‘ rattan wallpaper below the chair rail and painted the crown and moldings Ralph Lauren’s Club Navy to match the Oomph Newport console.” And the graphic Carolina George batik adds a pleasing punch to the mix. 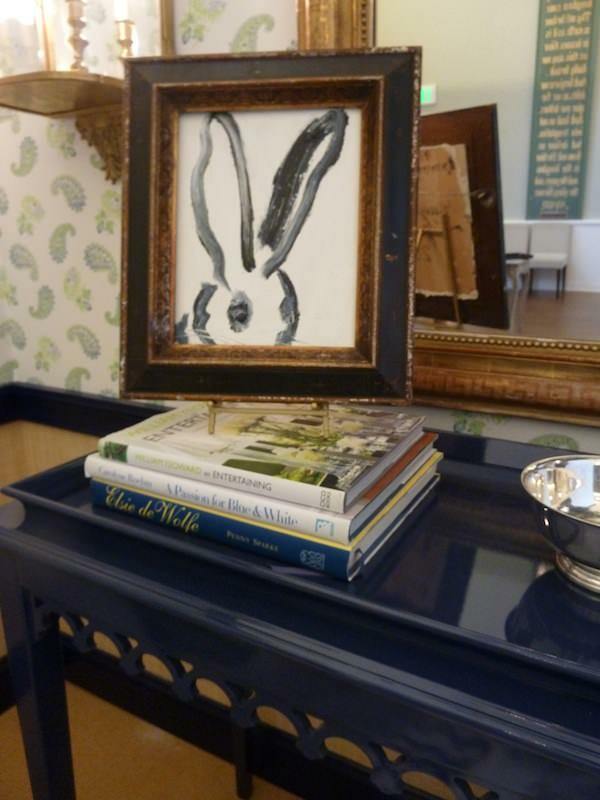 After working for Charlotte Moss for years, Lynde knows how to add layers of meaningful details like this charming Hunt Slonem rabbit drawing, and versatile pieces like the Oomph Tini Tufted Ottoman, below, assuring that there would always be enough seating or a place to put your reading material. In considering the theme of Design on a Shoestring, Paola Salinas of Style Never Sleeps started thinking about her vignette by looking at the changes in people’s lifestyles when they are living more conservatively. “I quickly realized that one unchanging denominator, regardless of budget, is the daily ritual of waking up, getting dressed and readying oneself for the day — it is that little “me” time that is important to our personal energy & how we all approach everything! My design of a woman’s dressing room embraces that ritual by creating an intimate space where any woman could relax, re-group & get ready. I believe in mixing high & low in design so while splurging on a custom chair, I kept costs down by building the cabinetry from MDF. Paola did a fabulous job incorporating both elegant and cost conscious elements. The versatile Nobilis paper is one of my all time favorites that is equally at home here as it would be in a mudroom. 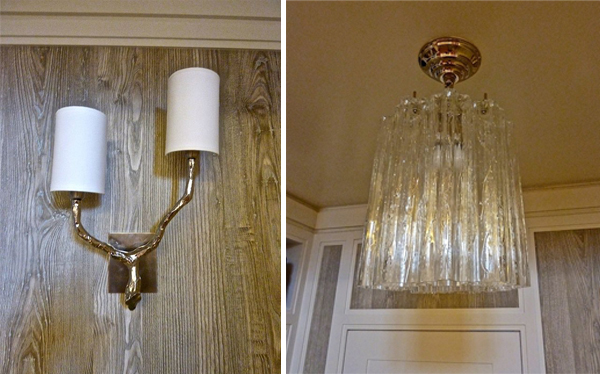 And the lighting (Vaughan twig wall sconce and wave chandelier) is distinctive yet well proportioned, saving the powerful punch for the amazing chair with beautiful Donghia covering, built by GBC Upholstery. 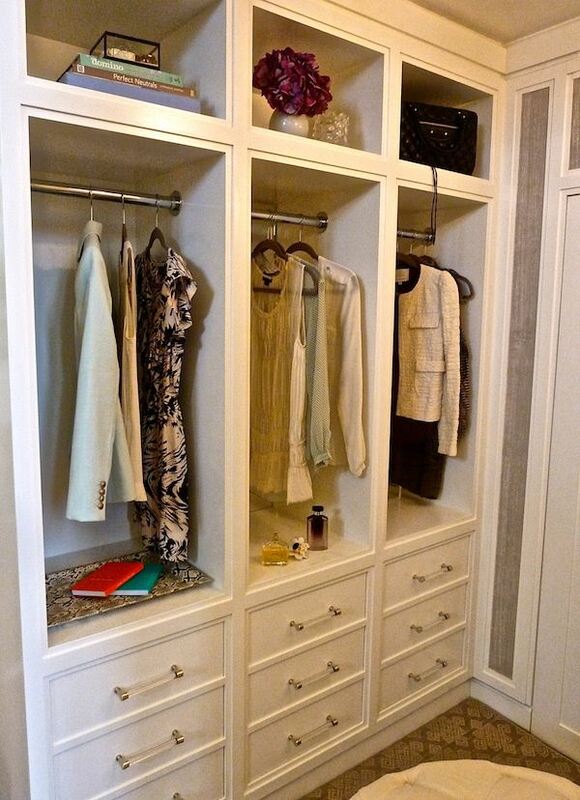 A lot of great ideas packed into a tiny space! This entry posted in art, design, furniture, interior design. 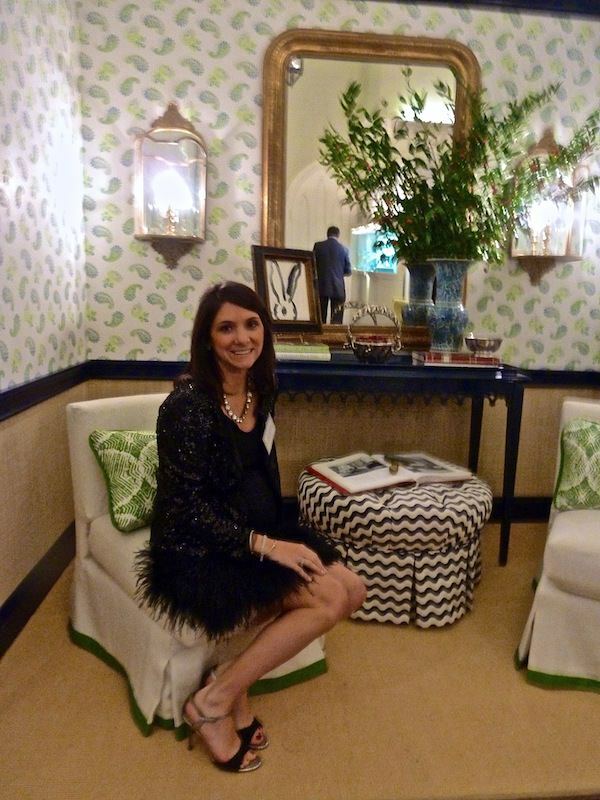 Entry Tags: Oomph furniture, Rooms with a View 2012, Showhouse Bookmark the permalink. 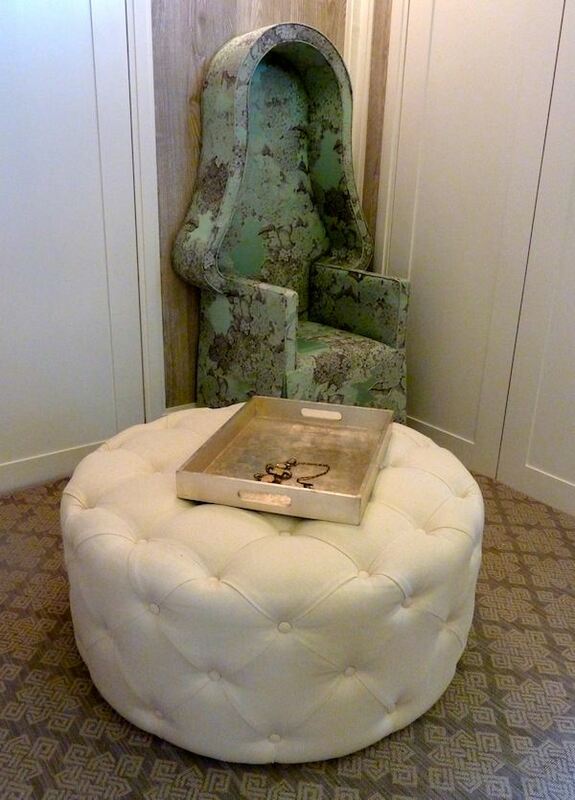 I love all the texture and detail in Lynde Easterlin’s space. That bunny painting is delightful. 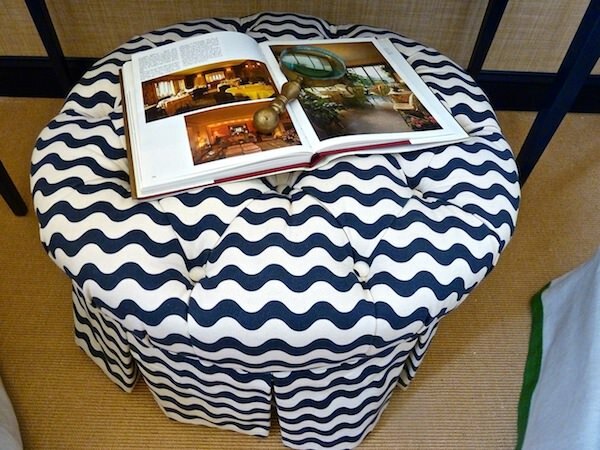 What a cozy spot for a tete a tete! Beautiful, Stacey. 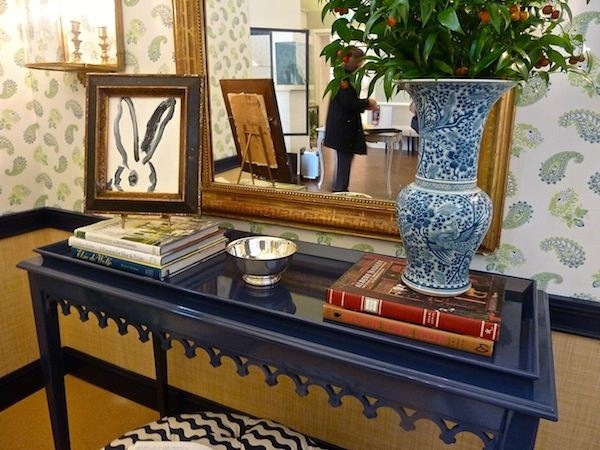 The black console table is my favorite. sorry wrong website but I adore the room! 80 queries in 0.432 seconds.